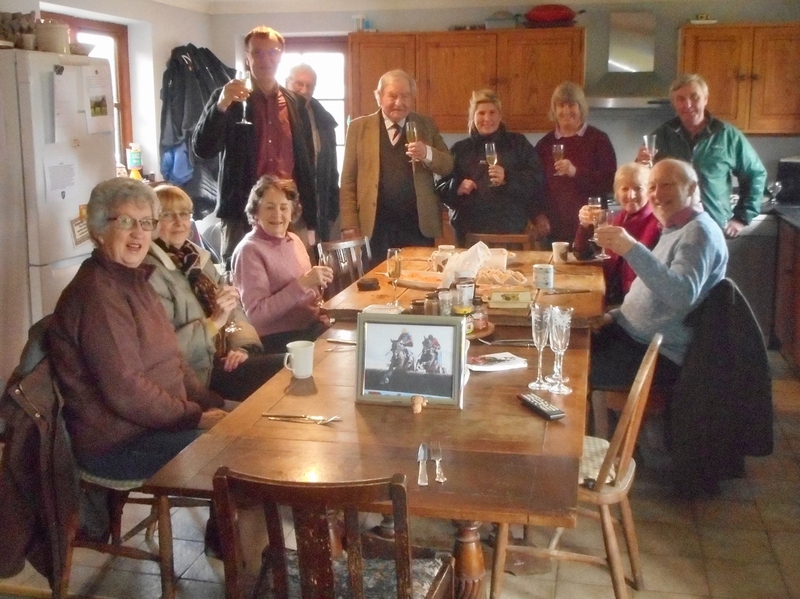 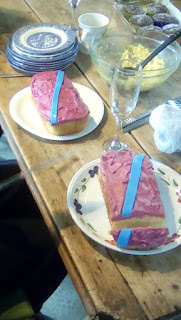 Linda Jewell Racing @ Southfield Stables: Time For Champagne, Smoked Salmon and Cake. 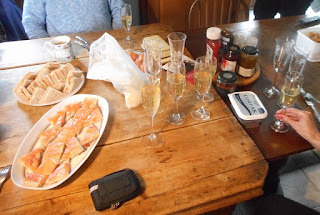 Time For Champagne, Smoked Salmon and Cake. It was a celebration breakfast this morning as we were finally able to get all involved together to celebrate Uallrightharry's win of a couple of weeks ago. 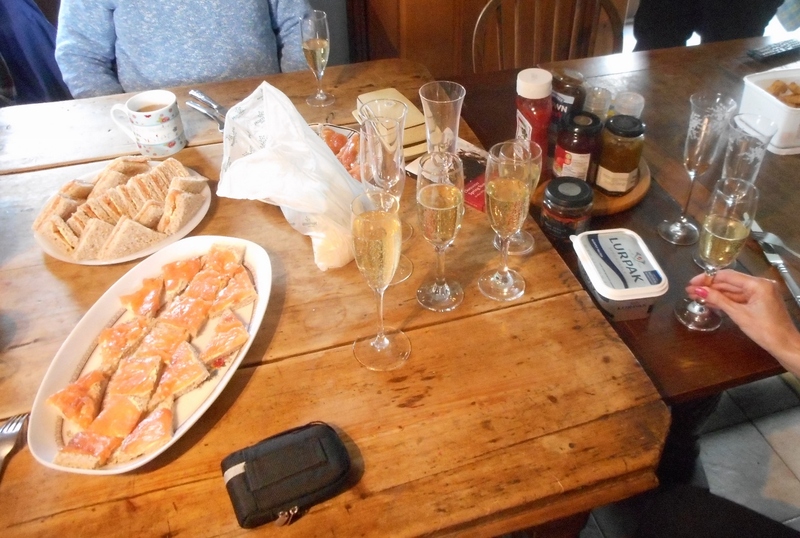 There was plenty of food and drink to enjoy and a bubbly atmosphere prevailed.